We were going out to see our son who lived in Columbus, Ohio at the time. I called Warrick the morning we were to leave to ask if we could stop for a visit. I had read about him and his job painting barns in this area. He asked me if I was looking for memorabilia. I told him I just wanted to interview him for a country paper that I worked for. He told us to come ahead. I did purchase a Mail Pouch birdfeeder as a memento of my visit with Harley. He definitely knew things about this are as he recalled his experiences painting area barns. He was even able to locate some of the barns for us via a map — yes folks, a hard copy of a map! When he was in the field painting, he was often alone. He told me that more than once his brush caught a sliver on the side of the barn and ripped up part of the sign he was painting. Old barns are like that. He did not worry about it, he just repainted the part that was damaged. “Finding a new Mail Pouch barn that isn’t documented is like a massive treasure hunt,” says Bill Vint, the executive director of Mail Pouch Barnstormers. 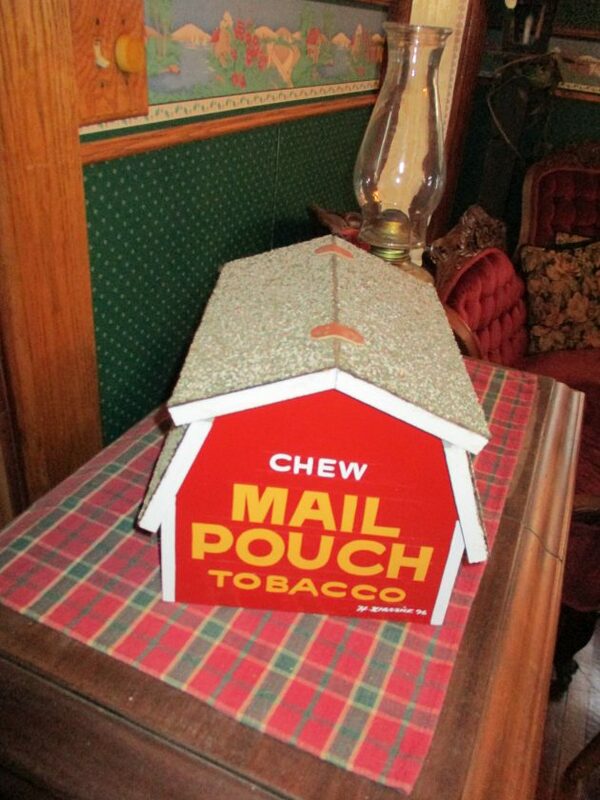 In their archives there are records of all of the Mail Pouch barns. Mail Pouch signs were declared as national landmarks in 1973. Many of the old barns have fallen by the wayside, but there are still many good specimens today for the public to see if they keep their eyes pealed as they travel along the back roads. There are currently 458 sites registered in Pennsylvania and 803 sites in Ohio. Nothing was listed for New York state but I know there are sites there.